Welcome to today's edition of Long and Short Review's Saturday Seven. One of the best parts of my job (in case you don't know, I'm co-owner of >Long and Short Reviews and Goddess Fish Promotions) is meeting some really wonderful authors. I've been fortunate enough to meet some of them in person and received an autographed book. Here are seven that are on my "special" books shelf. I had the privilege of getting to know Merrillee when I was a member of First Coast Romance Writers -- unfortunately, life got busy and I had to "unjoin." I hope to get back one day though... super people. As a matter of fact, many of my "special" books are from fellow members! The inscription on this one: "To Judy, I hope you enjoy the story. Blessings, Merrillee Whren". For the record, I did! Next on the list is the first book of a trilogy (I have all the books and they are all signed) Kat is a local writer I had the chance to meet at an author's event here in town. This is a wonderful Young Adult series and, last I heard, a new book in the series was in the works. Keeping my fingers crossed. Insriptions reads: "Judy! Best wishes! Kat H. Clayton 'Kythera Forever' 3/20/15" I especially like that she added the date! This next book is only one of the books I have by this author. Becky and I go way way way back--she's one of my oldest and dearest friends (since college days and that was more than a minute ago). I adore her and her books! Back in the day, we both dreamed of writing. She made her dream a reality! This was not her first book, but it's one that's dear to my heart. The inscription: Judy - Here's our fairy tale we wished for! Rebecca Hagan Lee"
Alyssa Day is also a member of First Coast Romance Writers. Her Poseidon series is just wonderful, and this was the book that started them all off. I've kept up with Alyssa through the years and love her "ACIMH" posts! Check out her Facebook page and you'll see what I mean! Inscription: "Judy, It's nice to 'meet' you! hugs, Alyssa Day"
Jacqueline Diamond was one of our first very author interviews on Long and Short Reviews. I've not had the opportunity to meet Jacqueline IRL, but she was gracious enough to send me this book when it was released. Inscription: "To Judy- Hope you enjoy my new trilogy. Best, Jacqueline Diamond"
I met Cheryl Norman through First Coast Romance Writers as well and, thanks for Facebook, can keep up with what's going on in her life and writing! Inscription: "Judy, Best always to my FCRW friend. Cheryl Norman"
I could not find the exact copy of this online, so forgive the photography. 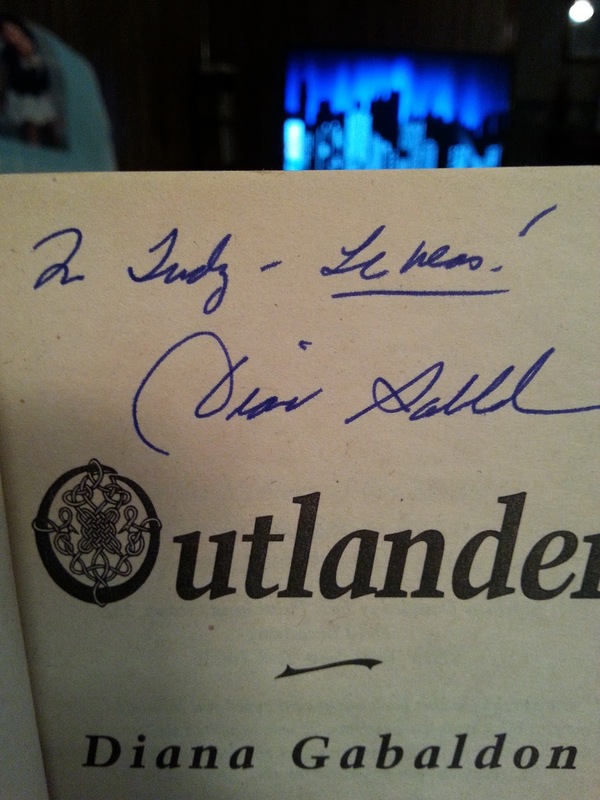 I didn't get the chance to actually meet Diana Gabaldon in person, but this inscription means a great deal to me. 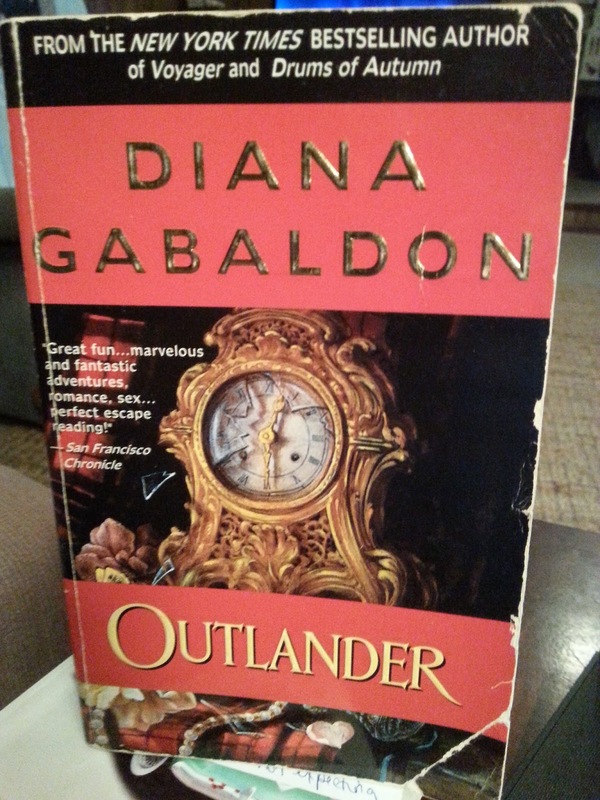 The book was gifted to me by a very dear friend, Abigail Sharpe, another FCRW-er, who knew of my love for this series and had it autographed for me when she had the chance to meet Diana. You can tell it is much loved and read. What about you? Does an autograph make a book more special to you? Join us in Saturday Seven - just click the banner or go to Long and Short Reviews. Can I go fangirl over the fact you know Rebecca Lee Hagan? 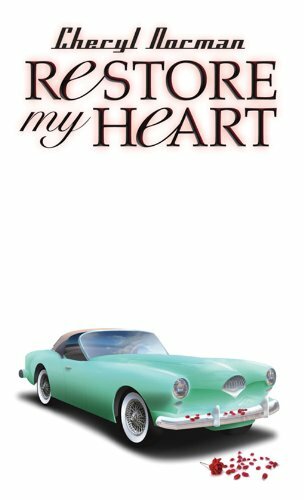 Jacqueline Diamond writes some of my favorite small town romances. I have several of her books on my shelf. Great post! Wow, you've met a lot of authors! I have several friends who love Diana Gabaldon's stories, and her works are still on my TBR list. It would be cool to meet her. Here is my Saturday Seven post for this week. 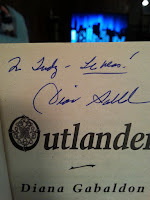 My cousin met Diana Gabaldon twice. She's SUCH a fangirl of hers. I've read the first book twice. The second time 10 yrs later and I still complained to my cousin about it. She laughed because she remembered that the stuff that bothered me 10 years prior, was the same the 2nd time around. LOL .. But you have some really good recommends and Ms. Day is awesome!!! Thanks for a great post!!!! Really great list. Gave me some author ideas too.